Academy budgets are in an even worse state than those of council-run schools with eight out of 10 in deficit, suggest figures from their accountants. "This means that schools will have little choice other than to cut teacher numbers to reduce financial losses in future." "Schools are doing everything they can to save as much money as possible; cutting back on staff, replacing experienced teachers with less qualified people and going cap-in-hand to parents, but it still isn't enough to avoid overspending." "The whole sector will be on the verge of insolvency if they have just two more years like this one. "Accountants can work with governors to help them save every last penny possibly, but without significant increases in public funding, this could become a full-blown crisis," he said. On Friday, research by independent think tank the Education Policy Institute found the number of council-run secondary schools falling into deficit had trebled to 26.1% in the four years to 2017. The EPI analysis, which is disputed by the government, also found a significant increase in the number of primary schools in deficit. But the think-tank data excludes academies, which make up about 60% of secondaries and 20% of primaries in England, and that makes the Kreston UK data particularly significant. 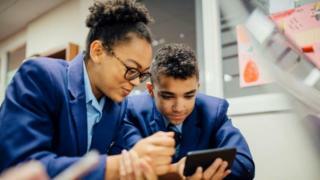 Of the primary academies in the Kreston UK report, almost three-quarters were in deficit before the effect of depreciation was taken into account, according to their accountants. The authors emphasise that they are accountants with "no hidden agenda and no political allegiance. "All we do is report on the facts in our report which is published every year." The government says its own figures suggest that schools "hold surpluses of more than £4bn and we are providing support to help them get the most out of every pound they spend". Ministers also maintain that academy budgets are more strictly controlled than those of council-run schools and so their finances are likely to be in better health overall.